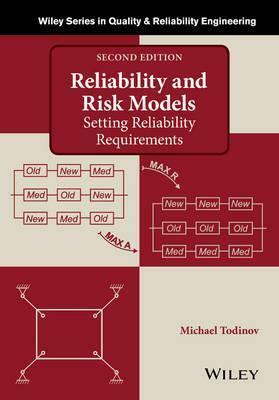 Reliability and Risk Models: Setting Reliability Requirements, Second Edition, is a comprehensively updated and reorganized new edition. The updates include comparative methods for improving reliability; methods for optimal allocation of limited resources to achieve a maximum risk reduction; methods for improving reliability at no extra cost and building reliability networks for engineering systems. This updated edition also features a detailed discussion of common physics-of-failure models and a unique set of 46 generic principles for reducing technical risk, which provide strong support in the quest for capable and reliable products. Finally, the new edition corrects a number of deeply rooted misconceptions in the field of reliability and risk. For many decades, the Weibull distribution, for example, was considered to be the correct model for predicting the probability of failure of materials initiated by flaws. This book demonstrates that for this specific application, the Weibull distribution is a fundamentally flawed model. Reliability and Risk Models: Setting Reliability Requirements, Second Edition, is a comprehensive reference for reliability engineers and risk and safety analysts, and is an excellent source of information for graduate students in reliability engineering, mathematics, and statistics.